Othniel Innis, 58, is facing murder charges after police say he shot and killed his girlfriend, Tynesha Evans, at a bank over the weekend. The children of a single mother who was shot and killed at a bank in Alpharetta, Georgia are having some of their burdens eased by actor and director Tyler Perry. 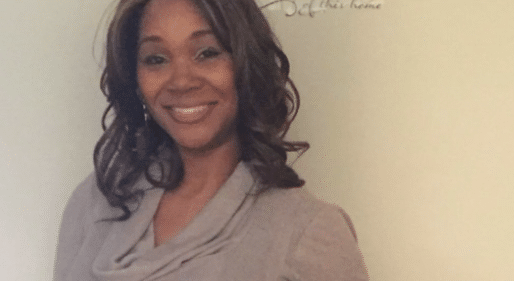 According to police, Tynesha Evans, 45, was shot and killed on Saturday by her boyfriend, 58-year-old Othniel Innis, at a local bank. Evans’ daughters told WSBTV, that their mother had fallen on hard times and that the suspect, Innis, asked her to meet him at the bank so he could give her money to help cover her rent. Instead of helping, however, he is accused of robbing the loving mom of her life. Evans’ children, two of them minors, according to a GoFundMe campaign set up by the family, were left to try and bury their mother and also keep up with their schooling. That is until Perry reached out to the family after hearing about the heartbreaking story. “It was a call I wasn’t even going to answer. I said, ‘Well, let me answer it to see who it is.’ I answered and the person on the other end said, ‘This is Tyler.’ I said, ‘Who?’ He said, ‘This is Tyler.’ I said, ‘Tyler who?’ and he said, ‘Tyler Perry.’ At that point, I just broke down crying,” Evans’ daughter Audrey Turner told the news station. According to the family, Perry offered to fly their mother’s body back to Wisconsin, her home state, where she will receive a proper burial surrounded by family and friends. One of Evans’ daughters, Sharadiant Turner, is a freshman at Spelman College who initially didn’t know how she was going to continue to pay her tuition. Perry has also promised that the teen will not have to worry about that either. “I’m going to do what she wanted me to do. She started me on math and now I’m going to get to graduate with a mathematics degree from Spelman College without debt, it means everything,” Sharadiant Turner said. “This amazing. We can’t thank him enough,” Sharadiant added. However, the family’s worries are not quite over yet. WSBTV reports that the family could lose their home. Evans’ owed about $3,200 in rent, and the children now say that the Webb Bridge Crossing Apartments planned to evict them. “When we lose where we lay our head, we lose memories of her. 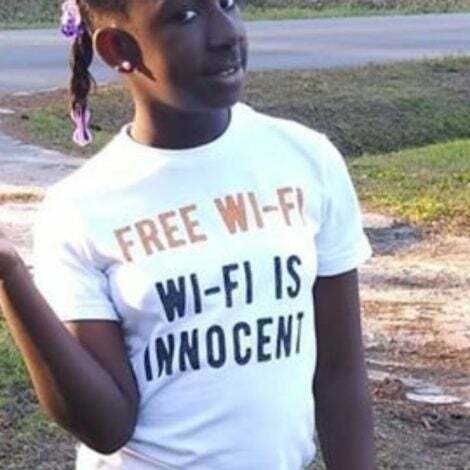 Every time I walk into the kitchen, I see my mom cooking, dancing and singing and, if you remove me from there, I’m not gonna have that memory,” Shakemia Turner said. The family’s GoFundMe, which is currently trending on the fundraising site, hopes to not only help with Evans’ funeral but keep the siblings afloat for a few more weeks. So far, in just a day, they have raised more than $43,000 of a $50,000 goal. As for the suspect, Innis was taken into custody following the Saturday shooting and is facing charges of murder and aggravated assault with a firearm. An armed witness who heard the gunshots intervened and held Innis at gunpoint until officers arrived at the scene, WSBTV noted in another report. “I do thank him. I really do. Because again, [Innis] would’ve got away,” Audrey Turner said of the witness. TOPICS: News Alpharetta Alpharetta shooting Georgia Othniel Innis Tyler Perry Tynesha Evans you okay sis?